Elegant and powerful! 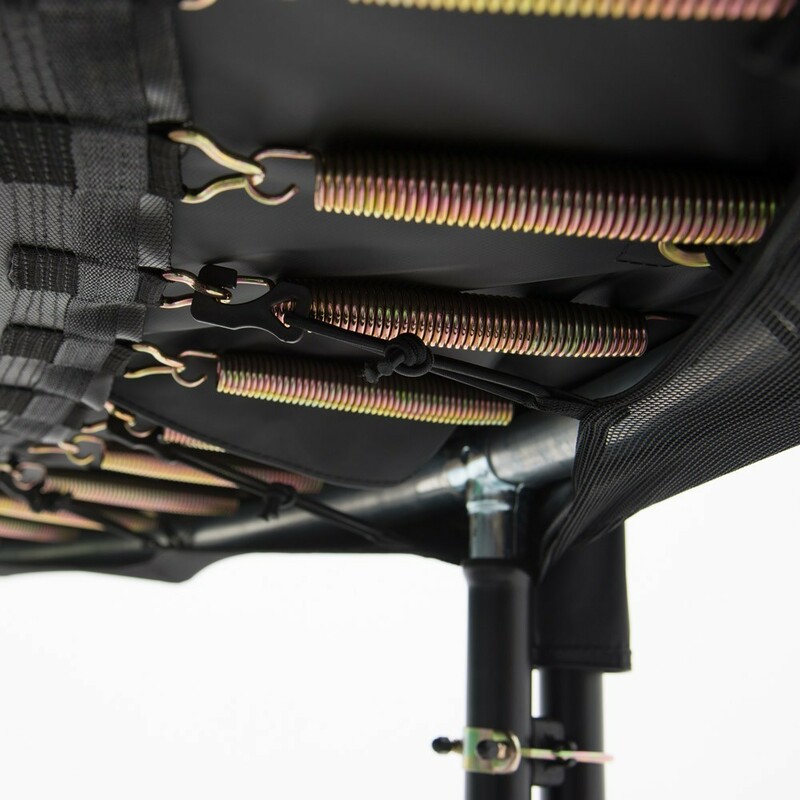 Its frame pad, net posts and framework are all black, revealing a distinguished look that reflects its high-jumping capacities. 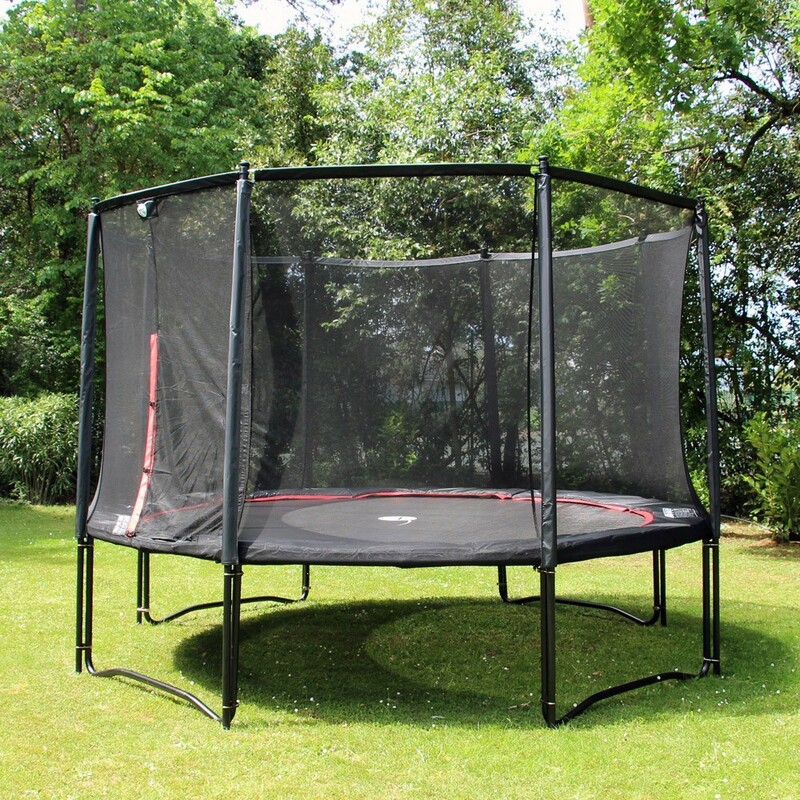 An unmissable of the France Trampoline range re-visited for our sporty families that will love its style and technical advantages. 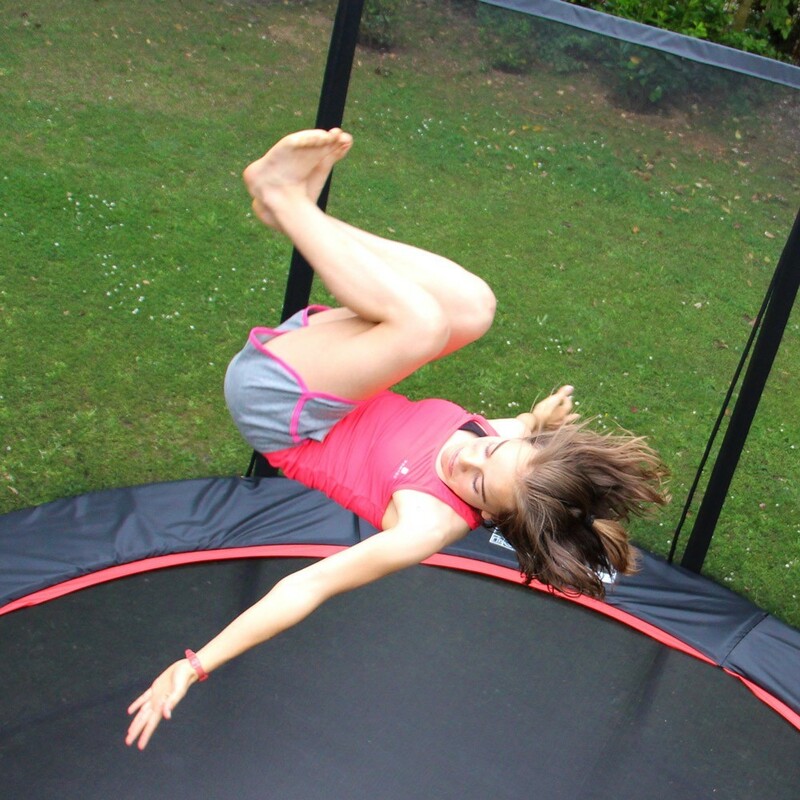 - Long springs for maxi-jumps! 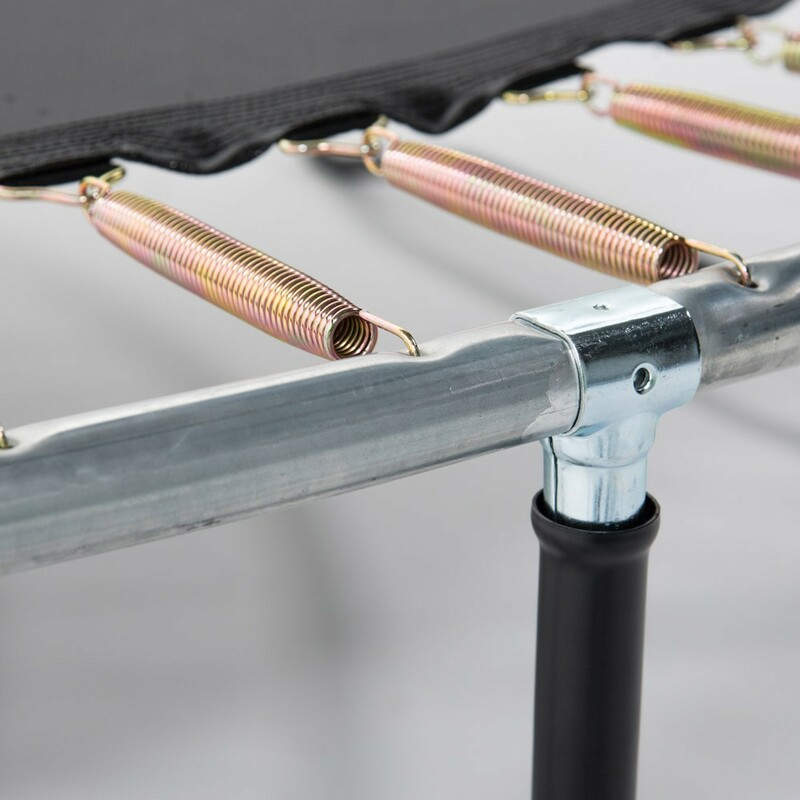 Its 88, 230 mm long springs offer high performance jumps. 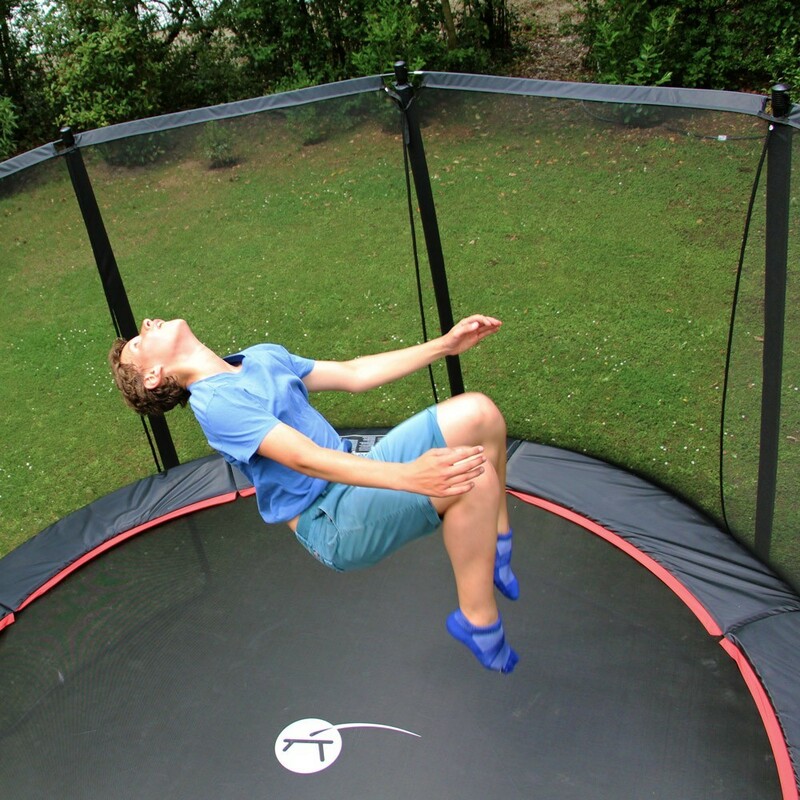 Amateurs of twists and other jumps will be able to try out new moves. 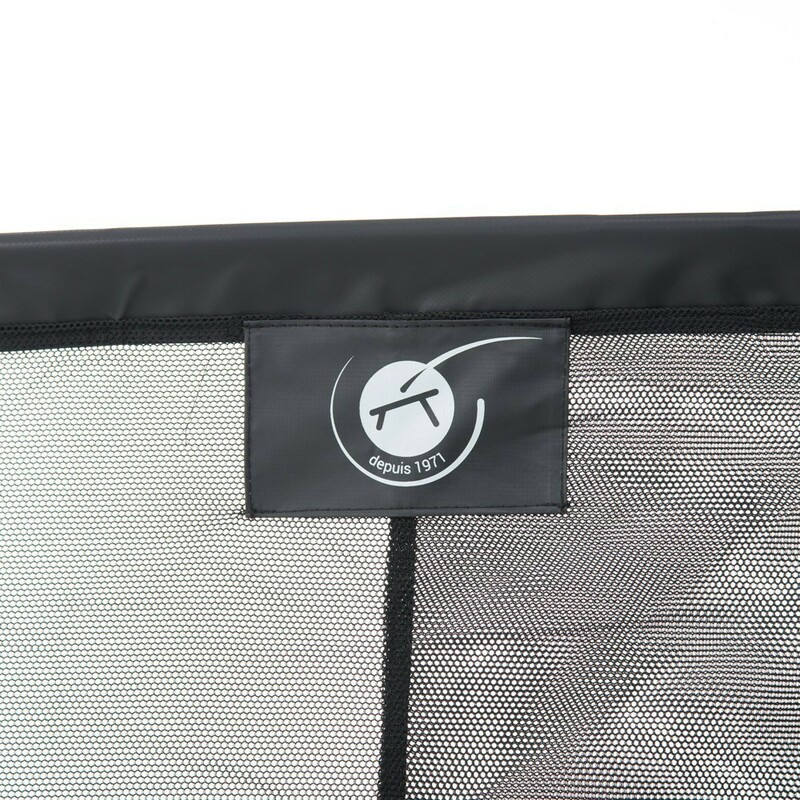 - Jumping mat strengthened with 8 rows of stitching and a peripheral reinforcement strap. 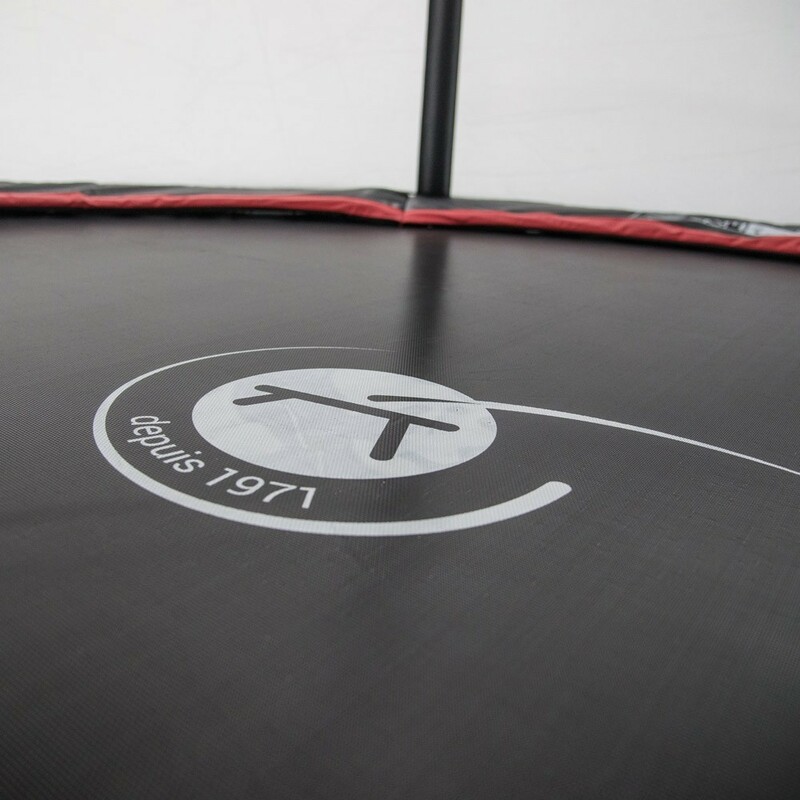 A real quality stamp compared to low price trampolines that will guarantee a high performance and resistant jumping mat. 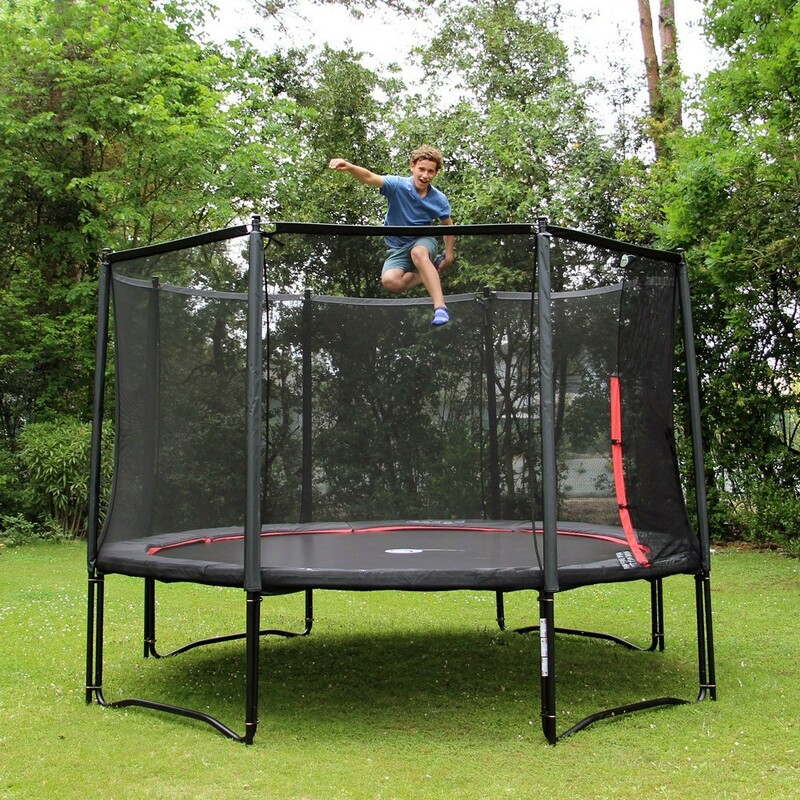 It offers a jumping surface of around 9 sqm. 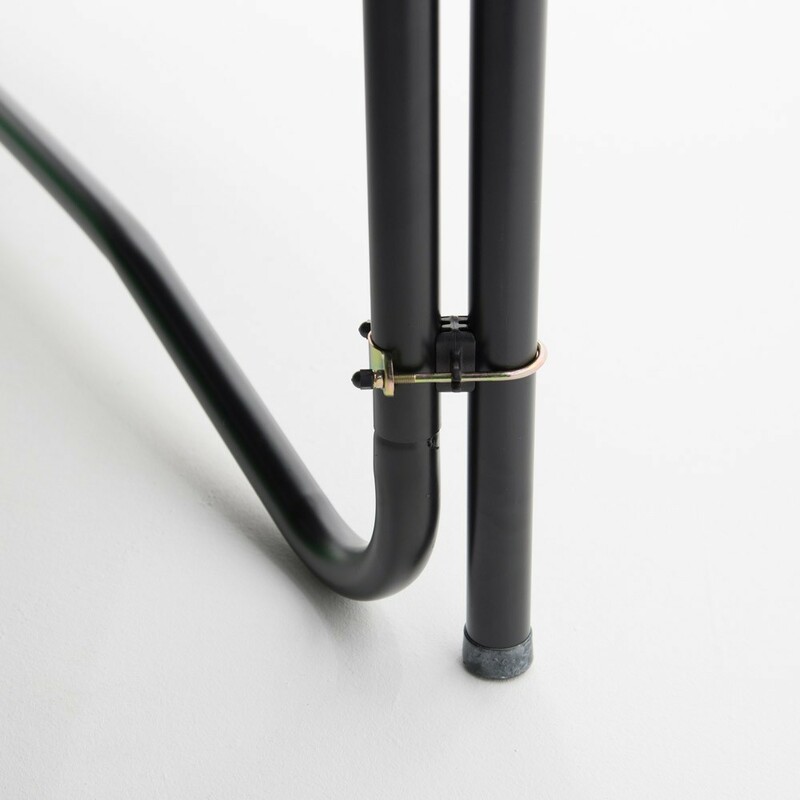 - Solid black structure supporting up to 150 kg assembled thanks to T-junctions, much more resistant than welds. 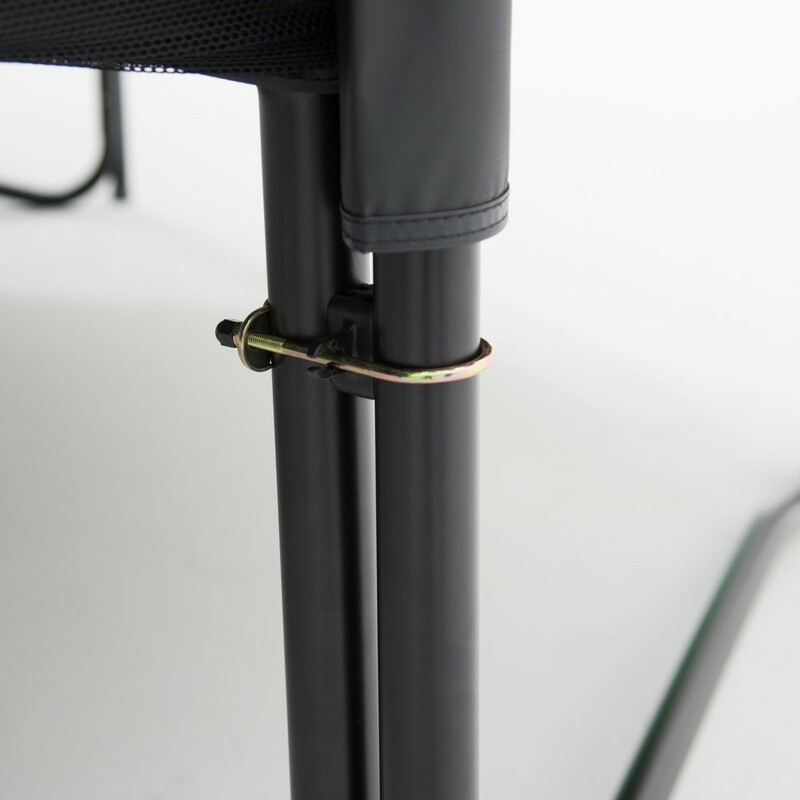 The framework elements are made with hot-dip galvanized steel with a 48 mm diameter and 2 mm thickness. 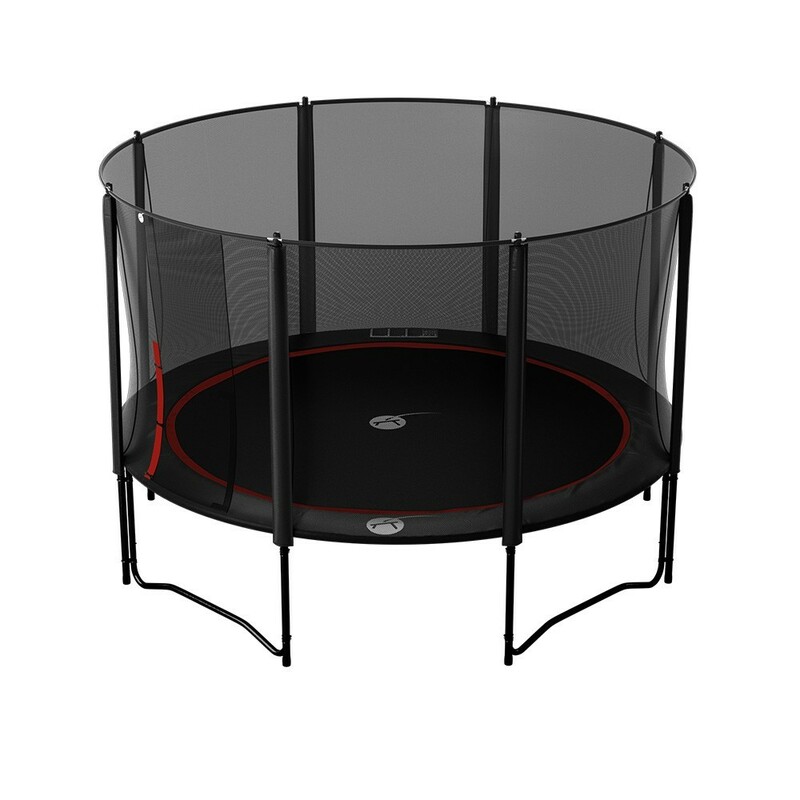 - Premium safety enclosure held in place by 8 net posts with a 38 mm diameter and 1.5 mm thickness. 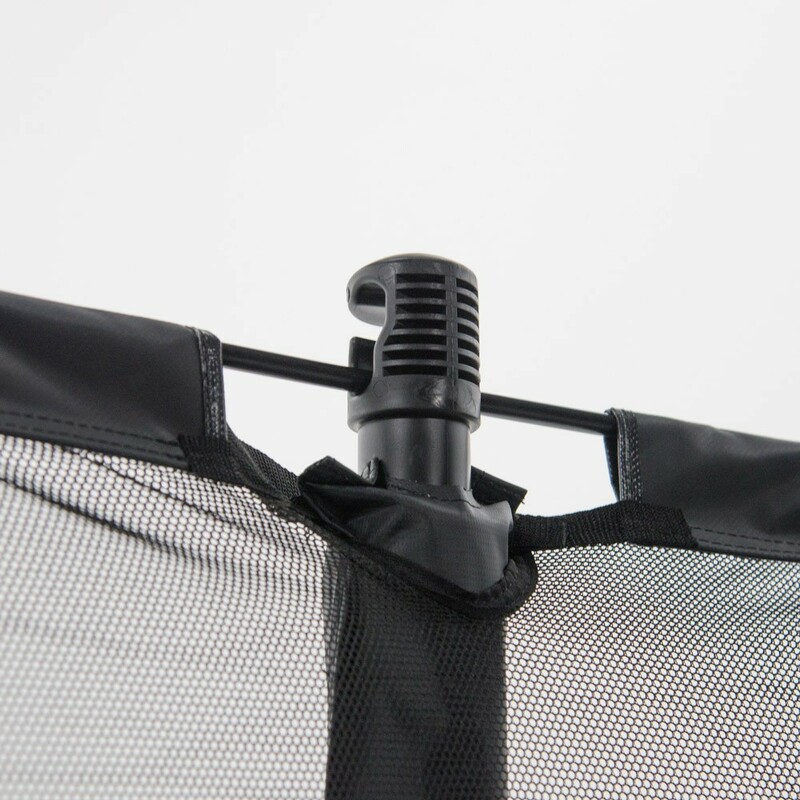 Its polyester netting is made to last. 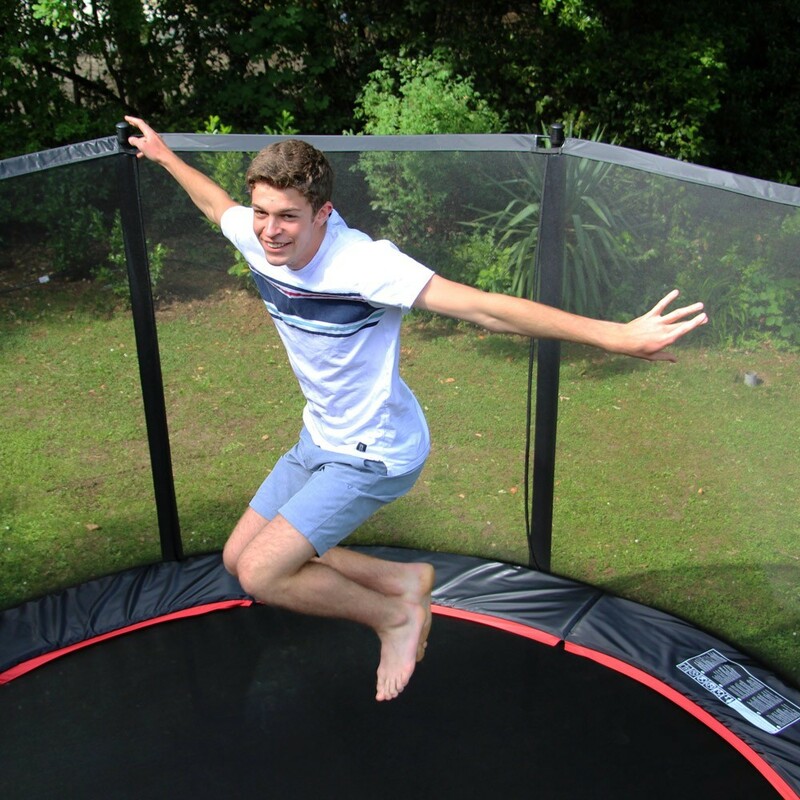 The top of the net is stretched thanks to fibreglass rods. 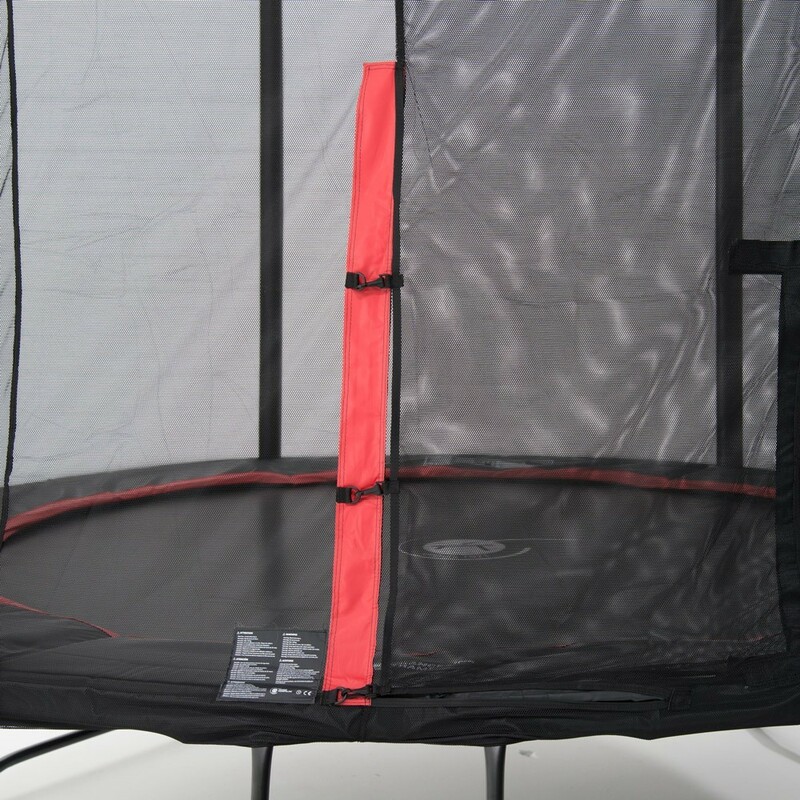 Entering the trampoline is made safe and easy thanks to an overlapping entrance with Velcro and snap hooks. 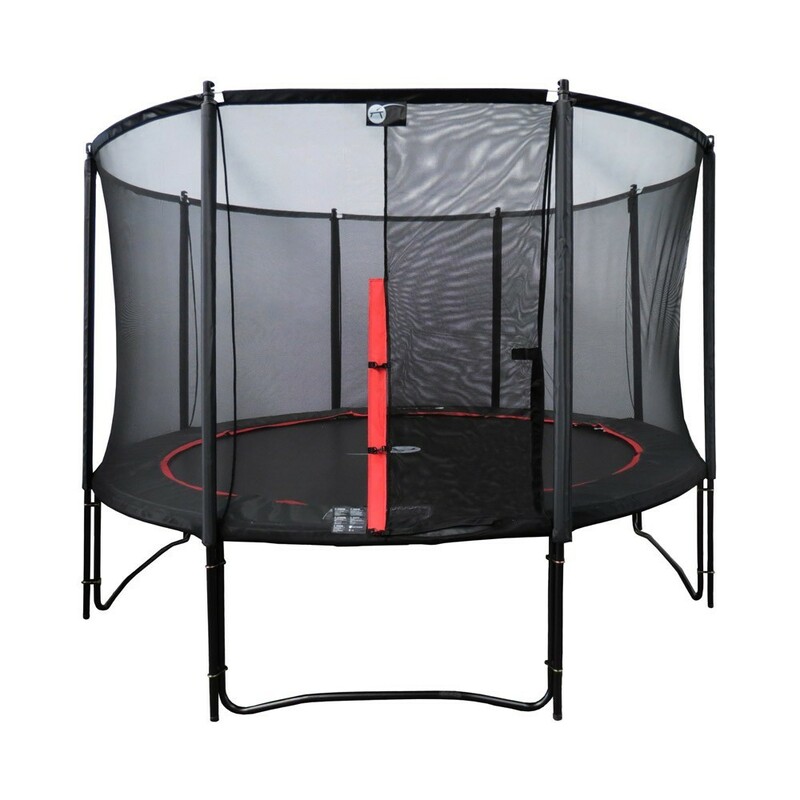 - Maximum stability thanks to the net posts that stand directly on the ground. 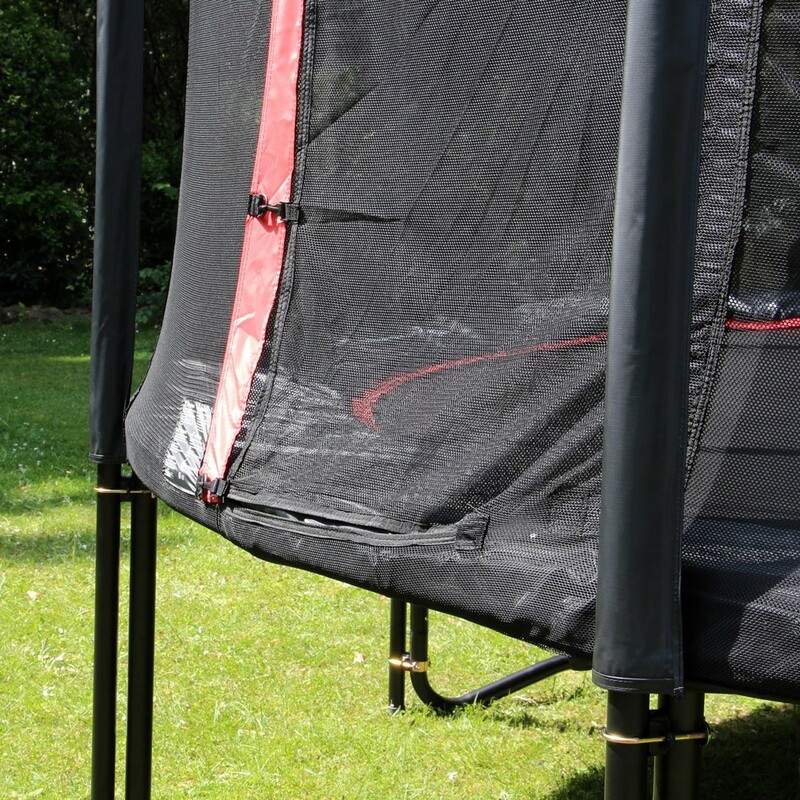 They are fixed to the trampoline frame thanks to 2 brackets, that avoid having to damage the steelwork. 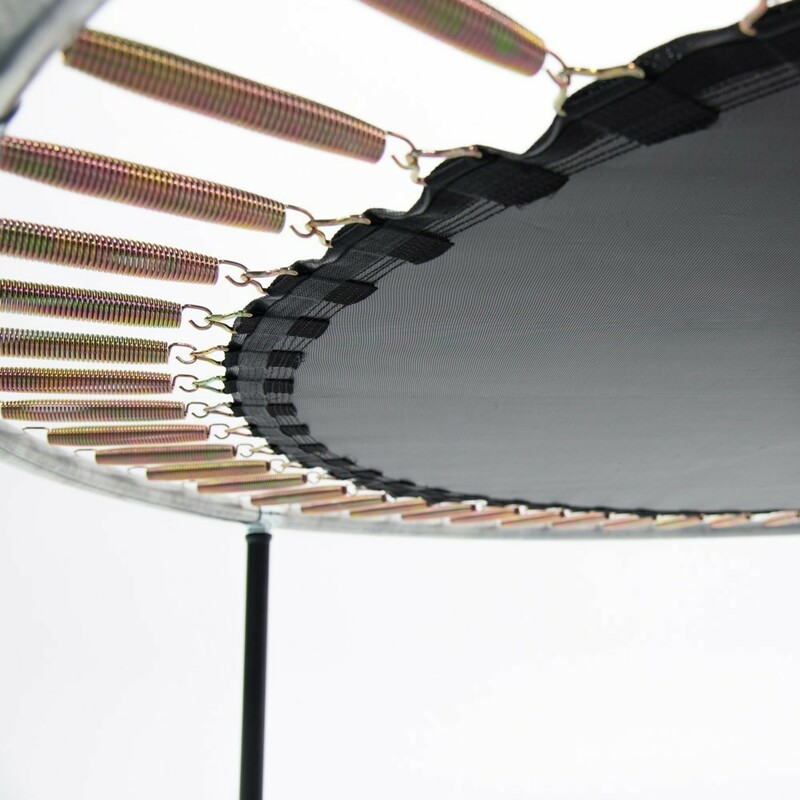 - Frame pad with 31 mm thickness. 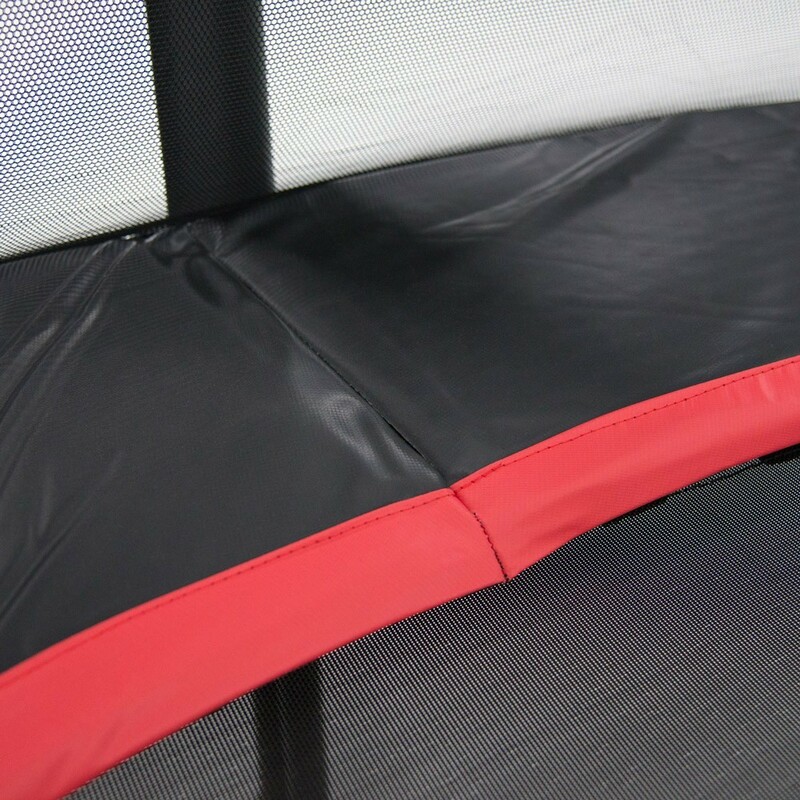 Made with mono-block foam and placed in a black and red PVC cover that fully covers the spring area.